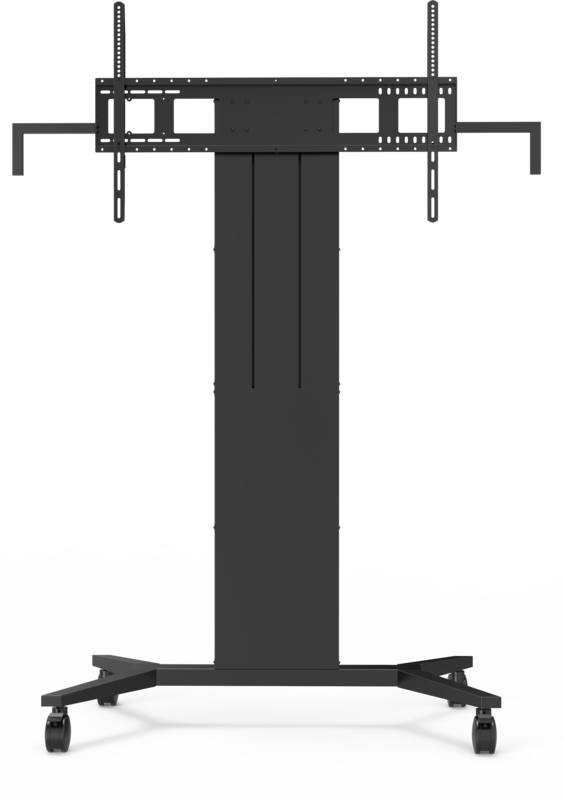 Vision’s Flat-Panel Mount VFM-F40/W is a heavy-duty portable floorstand for large interactive or non-interactive displays. It is super-rigid, powerful, and comes almost completely assembled. 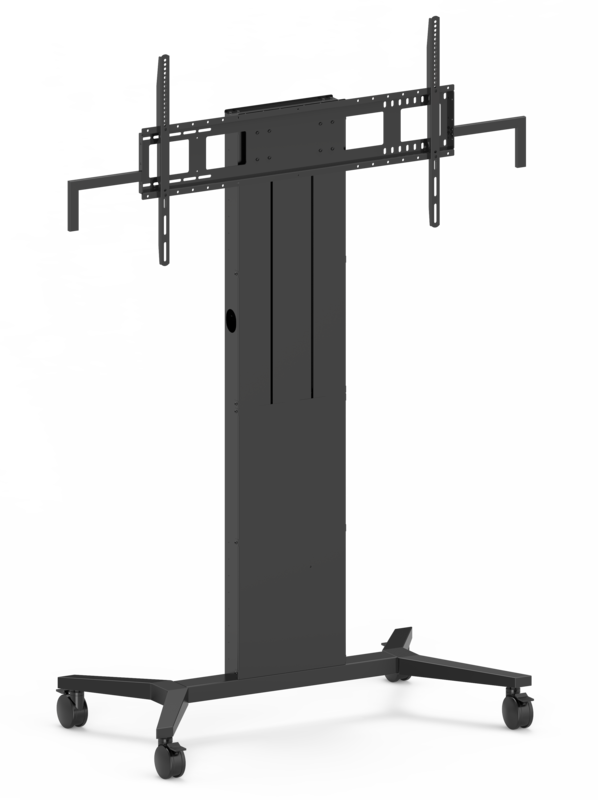 Just take it out of the box, assemble and attach the wheel assembly and flat-panel mount. There is no easier floorstand to put together. 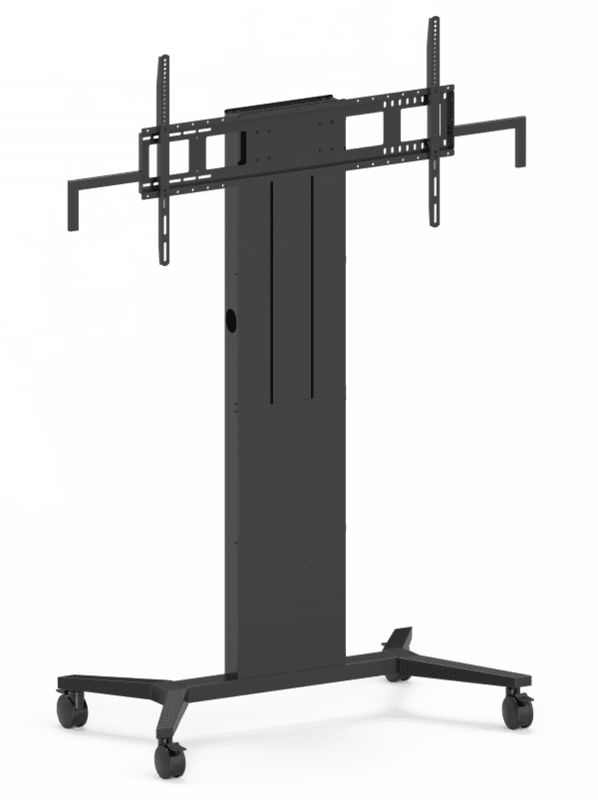 This product comes in three boxes: a VFM-F40FRAME which contains the almost completely assembled column. 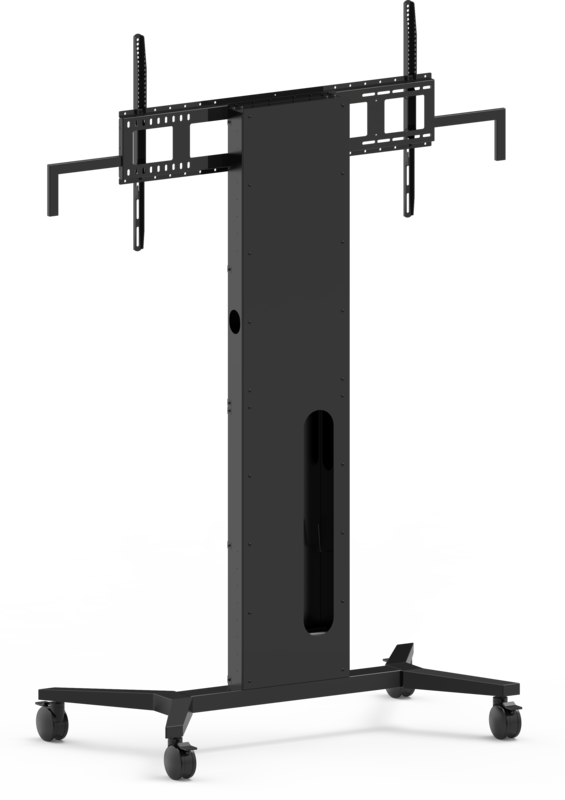 A VFM-W8X6 wall mount, which fixes to the column. And a VFM-F40WHEELS wheel assembly. We did this to keep the weight of the carton under 30 kg / 66 lb so normal courier services can be used. The feet are 650 mm / 25.6″ deep, which means they don’t protrude forward too much. This also makes it much easier to fit through a standard doorway. If a heavier display is to be fitted, or if it will be moved often over rough or sloping surfaces we recommend the VFM-F40/WXL which has longer feet. VFM-F40WHEELS: 1050 x 500 x 120 mm / 41.3" x 19.7" x 4.7"